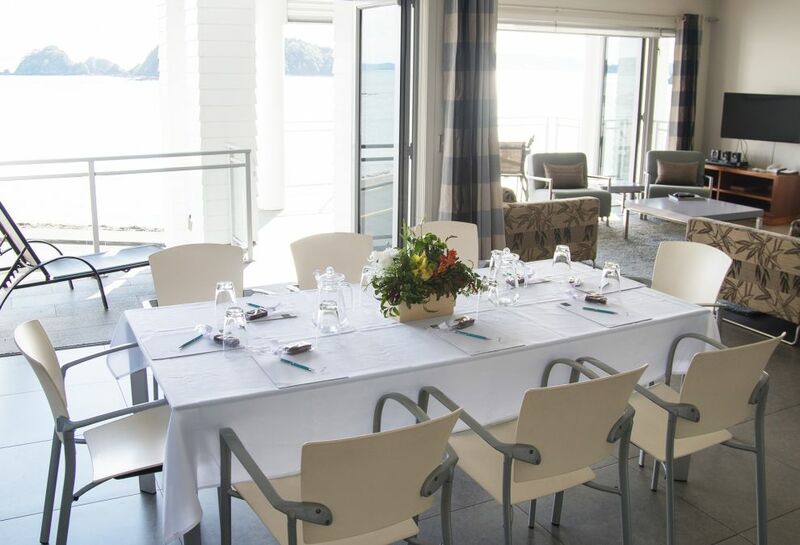 A Penthouse Suite with stunning waterfront views offers a memorable venue for your Paihia conference. Located in the heart of the Bay of Islands, The Waterfront Suites will leave you inspired by the tranquil views, as well as able to take advantage of the huge range of team-building and post-conference activities - from fishing and sailing to golf and spa treatments. Perfect for boutique Paihia conferences and functions, Penthouse Suites cater for up to 35 people theatre style and 16 people boardroom style. Stylish cocktail functions or events can be arranged for up to 40 people, cooked for you exclusively by an award winning chef.